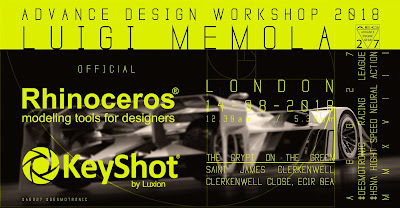 The Advanced Design Workshop is a special event brought to you by Luigi Memola, 3D Artist and Concept Designer. Luigi explains his process and techniques used in the creation of his personal work. He will cover topics on the design process, addressing the designer’s need to increase the quality of their work and reduce communication time of an idea from one department to another. He will also push designers to research and develop the appropriate tools and techniques to enhance the creative process.